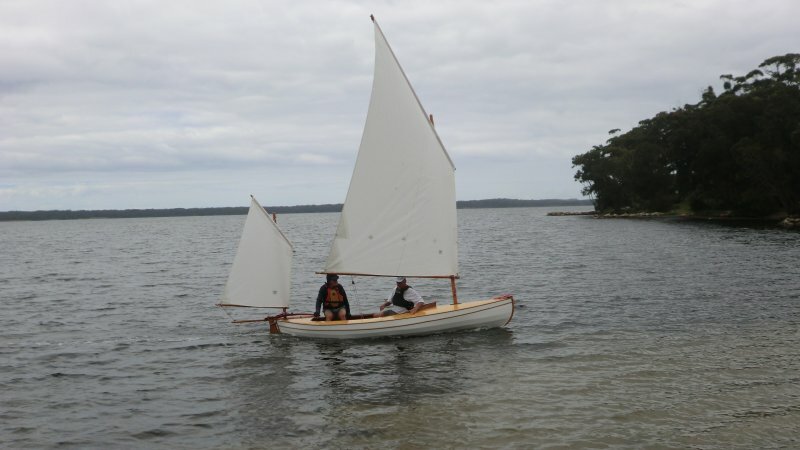 Chris Bell lives on the south coast of New South Wales, Australia, where he enjoys sailing in MINNIE THE MOOCHER, a 14′11″ canoe yawl. MINNIE is a Lillie design by Paul Fisher that is similar to his Ethel canoe yawl design and to boats that Lord Robert Baden-Powell built for the Boy Scouts. Chris built her using stitch-and-glue construction with marine plywood. He got sails from Keith Brown, Sydney, Australia. Chris and MINNIE sail on St. George’s Basin, South of Wollongong, in New South Wales.